This should - hopefully - be the final version of the game, ready to ship with issue 64 of The MagPi. 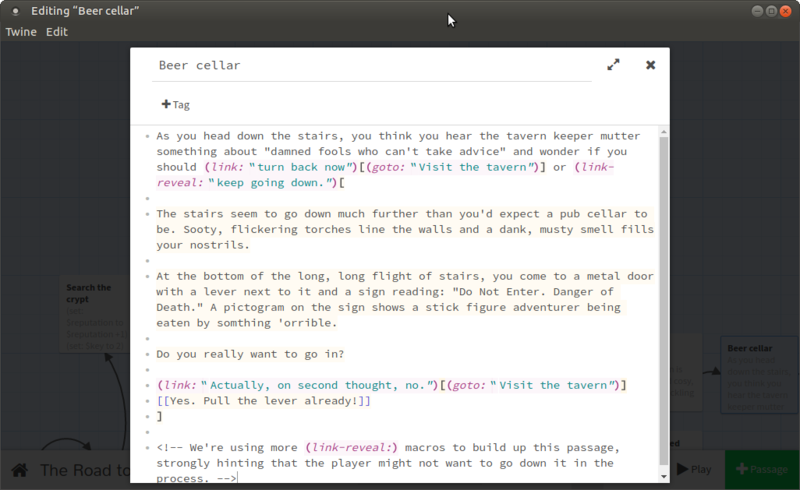 The final additions include using your battlecry in combat, (link-replace:) macros and testing your luck against something 'orrible lurking in the beer cellar. Please report any bugs, typos and logical inconsistencies. Happy Solstice: have an interactive festive card!